The Shapeshifting Detective puts the player in the role of the, well, shapeshifting detective. You're trying to solve the murder of Dorota Shaw, and the prime suspects are all tarot readers. You can shapeshift into other characters to dig up new information, or refuse to talk at the perfect times to unlock secret conversations. The game will be available for PC, PlayStation 4, Nintendo Switch, and Xbox One. Pre-orders are open now via Steam, PSN (Europe), and Xbox, offering a 20% pre-launch discount. Yo-Kai Watch 3 has a release date! It’s like Pokemon, but better. Ooooooooooooh, I can hear you all fuming at me all the way over the Internet. Okay, well, regardless of which you think is actually better, the latest installment in the Yo-Kai Watch series has a firm release date; it’s landing on December 8 for the Nintendo 3DS. The reimagined battle system is the most exciting and tactical in the series to date, so players will have to think and act fast if they’re to win. Using the new Tactics Board, players have the freedom to place their three preferred Yo-kai anywhere on a 3x3 grid. Yo-kai positioned on the front row will see their physical attacks become stronger and will protect Yo-kai behind them. Players can also place Yo-kai next to each other to trigger Linking effects, resulting in combo attacks. There are lots of possible combinations so experiment with different Yo-kai to discover your perfect team. It also offers players an entirely different setting (quite clearly based on the United States), and, as such, a completely different kind of story to what’s come in the past. I know it’s odd that a Nintendo 3DS title would be shaping up as one of the most exciting releases for any month in 2018, but as December is a quieter month, the fact this one has 600 monsters to collect, train, and battle means that Yo-Kai Watch 3 is going to be a truly mammoth experience. Just perfect for people who dust off November’s Pokemon release on Switch. SEGA’s Phantasy Star has never quite been granted the same respect as Final Fantasy or Dragon Quest, but it is a very fine JRPG series indeed, especially in those early eras. In fact, the original Phantasy Star was a downright cracking game for its time. Now you can experience it for yourself on your Nintendo Switch. SEGA Ages: Phantasy Star will set you back less than $10, and for that money you get a delightful mix of top-down world exploration with first person dungeon crawling. And you get a challenge. A very, very stiff challenge. There’s additional features that have been added to this version too. There’s a mapping option for those first person dungeon sequences, which wasn’t present in the original, and because it wasn’t there, it was so easy to get very lost when dungeon delving (this feature can be turned off for purists). There’s also a bestiary and various other bonus features. 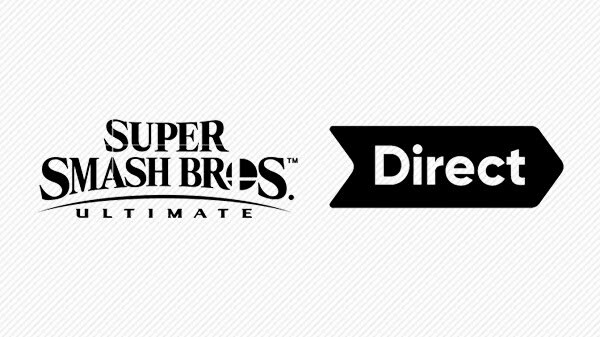 Nintendo's next Direct to focus, again, on Smash Bros.
Lord knows what the minds over at Nintendo have planned to fill an entire 40 minutes on a single game due out next month, but that's what's happening. The Super Smash Bros. Ultimate Direct will stream at 23:00 JST today, November 1. It will feature director Masahiro Sakurai. Following the Direct, stay tuned for Nintendo Treehouse: Live, featuring gameplay from Super Smash Bros. Ultimate, Pokemon: Let's Go, Yoshi's Crafted World, and Diablo III: Eternal Edition. Super Smash Bros. Ultimate is due for release on November 4.